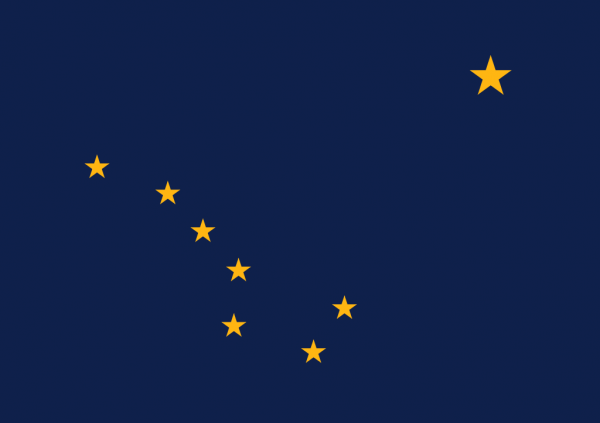 Founded in 1959, Alaska was the second to last state to be entered into the United States of America. While Alaska ranks at the top with the most land in any other state, it ranks 47th in population with over 735,000. However due to the abundance of resources throughout the state and it’s rich industries, the average household income ranks 4th in the country. While the capital is Juneau, the most populated city is Anchorage due to it’s port and location in the southern portion of the state. Mostly relying on the industries of oil, natural gas, and fishing, Alaska’s economy also is dependent on the tourism in the region. Home to the dominant peak of Mount McKinley, Alaska is called the Last Frontier and also the “Land of the Midnight Sun”, as they can have times of the year with 24 hours of sunshine. If you are searching for scrap metal prices in Alaska or the surrounding regions of Anchorage or Juneau, you may be able to find the information you’re looking for on the iScrap App. The yards in the area are able to provide you with the resources and information to help you locate a scrap yard and find out what the going rate for scrap prices are. You can also report your own metal prices on the iScrap App. So if you recently scrapped some material in Alaska, you can report your scrap prices directly on the iScrap App and keep track of what others in the area are getting paid. If you are looking for scrap yards in Alaska, it will be difficult to find too many outside of the region of the populated areas, especially Anchorage and Fairbanks. You can search for the yards and auto wreckers throughout the state of Alaska through the iScrap App. See the full list of locations by searching for your zip code online or using your phone to locate them in your area. You will be able to contact the yards in your area for their current scrap prices, what scrap metals they accept, and request containers for your job site. If you are need of an auto part for repair or need to have a junk car picked up for scrap, you can locate the auto wreckers in Alaska through the iScrap App today. Back to Basic Recycling Co.